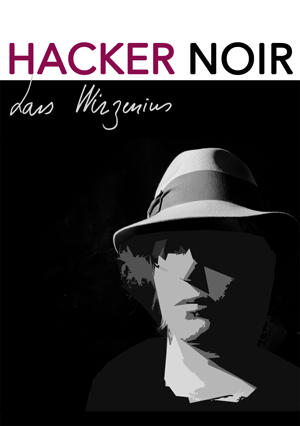 "Hacker Noir" is a story about software development, by Lars Wirzenius. The story isn't finished yet, but in the process of being written. Finished chapters are published on Patreon about once a month for supporters, and a month later re-published here. The public ones will be announced on Lars's blog. This is a practice story set some years before Hacker Noir happens. There may be contradictions. Retconning in the future is possible. For exact details, look at git. 2017-01-08: A number language fixes, mostly typos, based on feedback from readers. Also from the Emacs spell checker, which the author has now learnt how to use. Also fixed CSS to set a maximum width, rather than exact width. 2017-01-12: Added the origin story. 2017-02-01: Added chapter two (devsetup). 2017-02-20: Typo fixes from many people. 2017-03-01: Added chapter three (conflict). 2018-03-07: Added chapter four (newhardware). 2018-06-09: Added chapter five (assault). If you'd like to support me in writing this story, you can do so on my Patreon. Doing so is voluntary. I will publish new chapters there first, and add them to this public site a month later. All content on this site is copyrighted by Lars Wirzenius, and licensed under a Creative Commons Attribution-Share Alike 4.0 Unported License.